One dozen gorgeous yellow roses are a perfect symbol of affection and friendship. 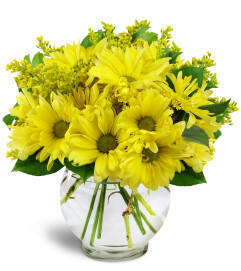 Sunny yellow tones make them a joy to receive - and to give, too! 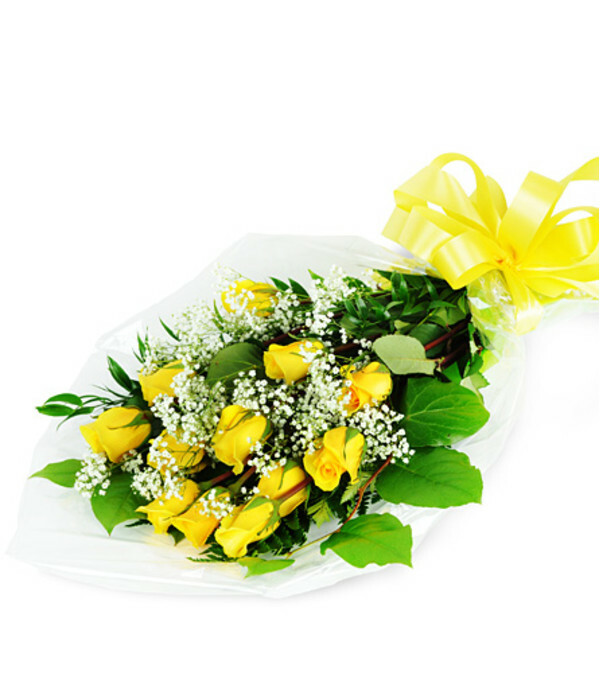 A dozen long-stemmed yellow roses arrive carefully wrapped for presentation, and tied with a cheerful bow. Ordered online from MTL. before 10am, arrived before 1pm. Beautiful arrangement for under $100, Mom was sooooo delighted. We will order from you again. Thanks so very much and for such a beautiful job. Very happy with your service! Although I didn't see the flowers that were delivered to my mum for her 80th birthday, they were delivered exactly when I requested and my mother says they are beautiful. Thank you! I was able to purchase one of the floral arrangements online and pick it up within an hour on a Saturday before they closed. They called me to ask me about a replacement flower colour which I was more than okay about. Their shop is this little shop almost not seen due to the mountains of snow. When I picked up the flowers it was the biggest floral arrangement. I had to put it on the floor in front of the passengers seat. They really came through and was a magnificent creation better than the image online. Thanks so much. Would definitely go back. 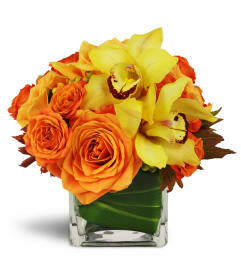 Elford Floral Design is a Lovingly Florist in Toronto. Buying local matters. Discover how Lovingly supports local florists. Copyrighted images herein are used with permission by Elford Floral Design.